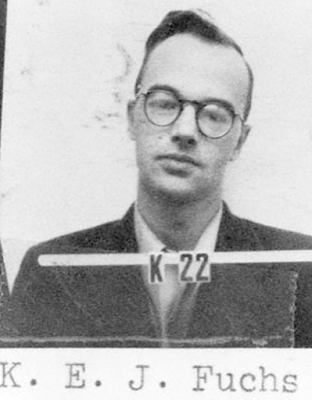 As History.com notes, on this day in 1950 Klaus Fuchs was arrested for espionage. Klaus Fuchs, a German-born British scientist who helped developed the atomic bomb, is arrested in Great Britain for passing top-secret information about the bomb to the Soviet Union. The arrest of Fuchs led authorities to several other individuals involved in a spy ring, culminating with the arrest of Julius and Ethel Rosenberg and their subsequent execution.